Kids in the UK have another opportunity to build their coding capabilities, thanks to the broadcaster's new Code-It site. Kids in the UK have another opportunity to build their coding capabilities thanks to Code-It, a new site from Nickelodeon UK that teaches kids the basics of computer coding. 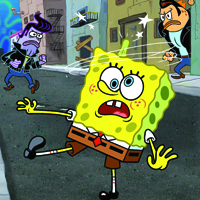 Aimed at kids ages six to 12, the site lets them manipulate a variety of characters from shows like SpongeBob SquarePants, Teenage Mutant Ninja Turtles and Breadwinners. Users can program the characters, animate their movements and change their appearance to earn rewards like badges visible to other site users. Featuring how-to videos and graduated levels, the new site uses a custom-created coding language that’s aligned to commonly used code. Users can upload their work to an animation gallery, where other Nick.co.uk visitors will be able to view the finished animation and edit the code used to produce it. 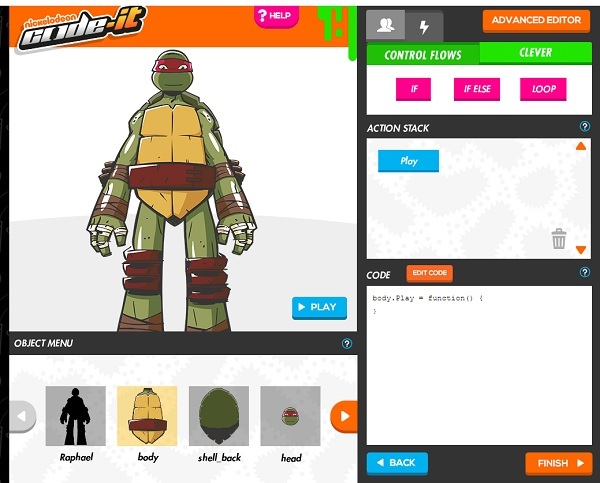 Code-It was developed by Nickelodeon UK and Brighton-based digital agency We Are Tilt. Designed to be both fun and functional, it falls in line with England’s new national computing curriculum. The new curriculum has spurred a growth in kids coding initiatives from content producers across the UK. 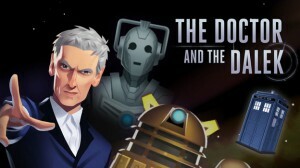 Most recently, the BBC launched a Dr. Who-themed coding game teaching kids how to code. Meanwhile new tech-focused TV shows like Appsolute Genius (CBBC), Technobabble (CBBC) and Nina and the Neurons: Go Digital (CBeebies) also reflect the growing trend of code-focused content.